Concrete surfaces are prone to stains and discoloration. Imagine how unpleasant it would look to have an oil stain on your driveway. Think of how terrible it would be to have guests walk into a kitchen floor with a red wine splatter stain on it. Although most stains are quite difficult to remove, they can easily be disguised with concrete staining. Here are good reasons why you should hire a professional to handle stained concrete jobs. One of the best reasons why you should hire a pro is that they are well-versed with concrete acid stain and the process of installing it. This is highly important because no two concrete surfaces are alike. Pros are trained to determine the best type of stain and installation technique to yield the best possible results. Having the right knowledge will also lower the chances of committing mistakes. 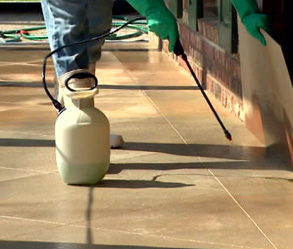 Staining a concrete surface will require tools and equipment for proper application. They have the right tools and equipment and they know which type will be most appropriate for the type of stain and design concept required. The application process comes naturally easy for them since they are trained to use such tools and equipment in the most efficient way. When a DIY goes wrong, chances are, you would hire someone to fix it. Not only will this be time-consuming, it is also costly. If you a hire a pro to start with, you are assured that their work is guaranteed to be effective and that they could provide a warranty to come back and fix it for free within a given time frame. Pros minimize having to do back jobs by making sure they do it right the first time. Instead of buying how-to books and watching video tutorials about how to do stained concrete on your own, hire someone who already has the knowledge, tools, and skill. Not only will this save you from all the heartache and hard work, it will also help save precious time and hard-earned money. Just make sure that you hire someone who is licensed, experienced, and one who offers a warranty. Leaving it to a professional, you are more likely to enjoy stunning stained concrete surfaces sooner and for a much longer time. 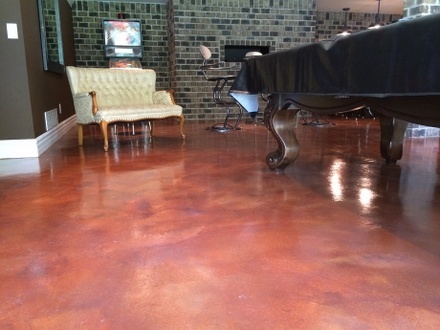 It can be quite tempting to do a stained concrete project on your own. While most people think that they might be able to save on costs with a DIY, it may be quite risky. Working with a pro, you are assured that the quality of work is worth every penny you have to pay. Licensed contractors have the knowledge required to ensure the best results. They know the right tool or equipment to use and they have it on hand. Their work also comes with a warranty, all the more proving how reliable their services are and the products they use.